It's a jewelry store to the stars. ATLANTA — Law enforcement officers have arrested several people following a Cobb County home invasion where the manager of a popular Buckhead jewelry store was targeted. 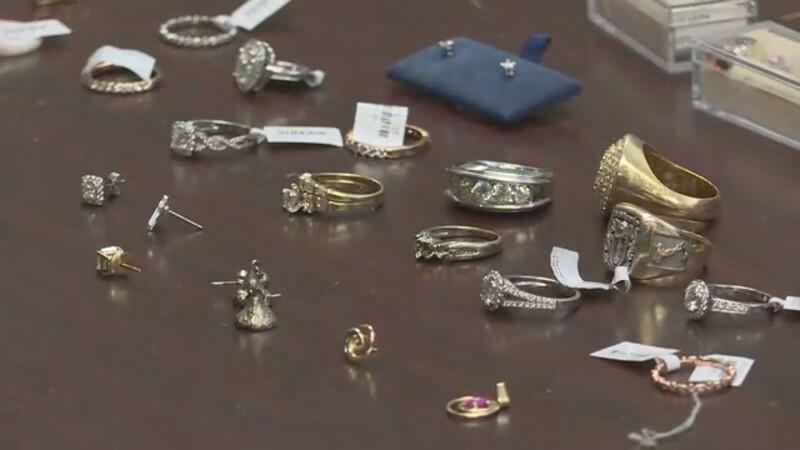 Authorities said five people had been charged in connection with the home invasion and subsequent burglary of Icebox Diamonds & Watches. Four of the suspects, Jose Hernandez, 38, Tameka Lashon Croskey, 44, Gregory Andrews, 34, and Meisha Sims, 31, were taken into custody Friday. The fifth person, 29-year-old Crysell Croskey - who is Tameka Croskey's son - was already in jail on unrelated charges, police said. It's been over a month since this crime happened. "The people that were arrested today posed a significant threat to this community," APD Major Barry Shaw said. Officers said back in February, robbers followed the manager of Icebox out to dinner with his wife and then back home. The robbers then allegedly forced their way inside. "Two of our residents were accosted by to armed masked gunmen who then kidnapped and kept them in their home for extended hours while they arranged to do this burglary in Atlanta," said Cobb County Police Deputy Chief Stuart VanHoozer. "A terrifying event no doubt, I can't imagine being in their position." 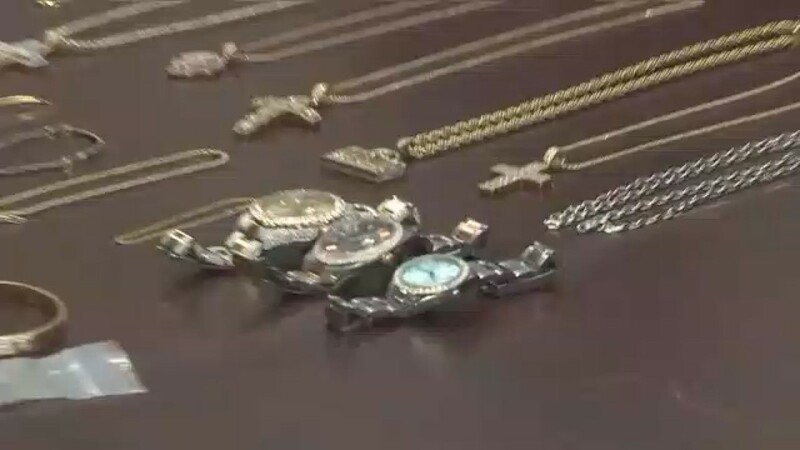 Cobb Police said two men tied the manager and his wife up, then forced the manager to hand over the keys and access codes to the jewelry store and safes. 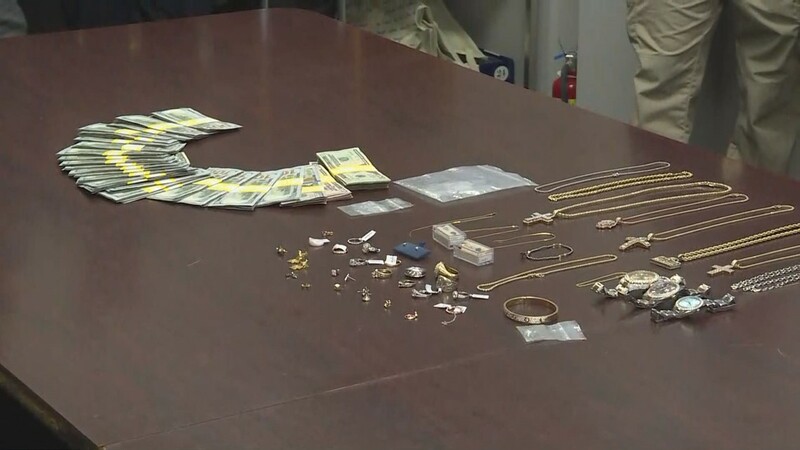 Police said one of the suspects left, while another stayed behind and took more jewelry and cash from inside the home. The manager and his wife were not hurt, police said. It was around 2:30 a.m. Sunday, Feb. 17, when Atlanta Police officers responded to the jewelry store off Peachtree Road. When officers got there, however, they didn't see anything out of the ordinary. Officers waited around for nearly two hours to see if anyone suspicious would show up, but the only people who did were the business' owners. Officers went with them inside, where they found the store had been burglarized. Two safes had also been opened and cleared of jewelry and watches. Police released a surveillance picture last month from the store, which showed two people inside. 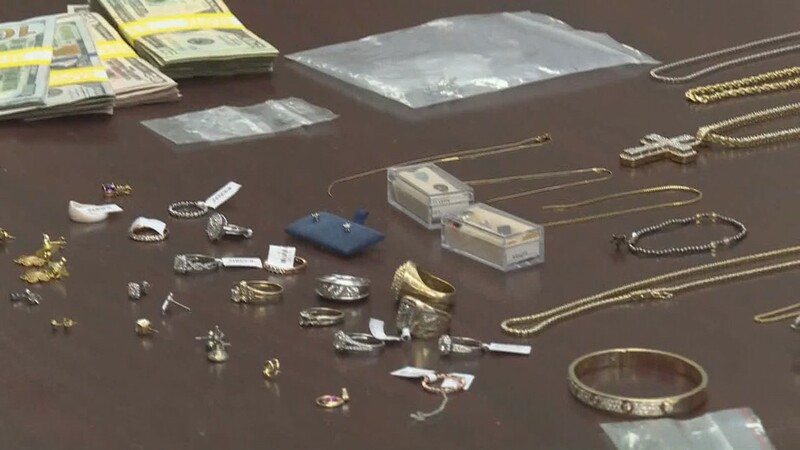 Police said Friday they recovered thousands of dollars worth of jewelry, more than $120,000 in cash, narcotics, and weapons. "These arrests today are a really big deal for the community," said APD Major Barry Shaw. "It's pretty well known that Buckhead has had some crime challenges recently." Some residents even took their concerns to Atlanta Mayor Keisha Lance Bottoms and APD Police Chief Erika Shields last month during town hall meeting, upset about some of the recent car break-ins and thefts. Acting Cobb County District Attorney John Melvin they've worked with the other agencies to build a sold case about the home invasion and Icebox burglary. "I've directed Chief Assistant Susan Treadaway of my office to work in conjunction with the Fulton County D.A. 's Office to bring the maximum of pain that we can to this racketeering enterprise and it's my commitment to the citizens of Cobb as well as the Fulton County D.A. 's commitment to the citizens to Fulton that these people will not see the light of day again." 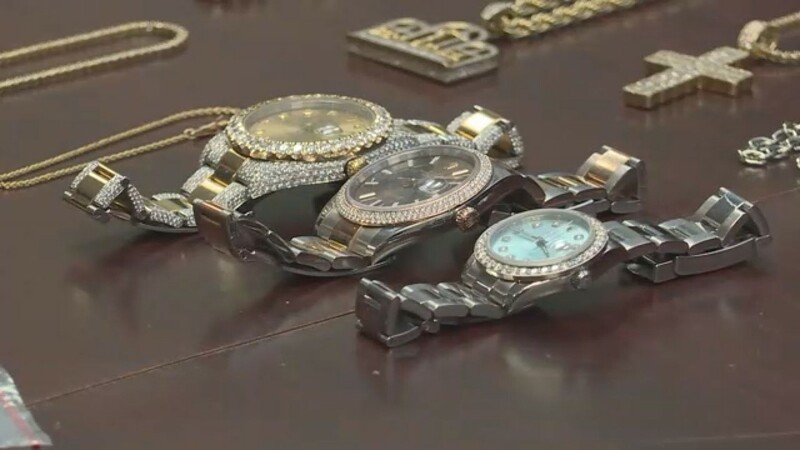 The jewelry store is a business known for its famous clientele - everyone from rappers like Meek Mill, Migos and Ludacris, to actors, NFL players and NBA players have all purchased items from the high-end shop. All of the suspects connected to the crime are facing numerous felony charges, including burglary, theft, narcotics and weapons charges. Additional charges will be forthcoming in Cobb County. 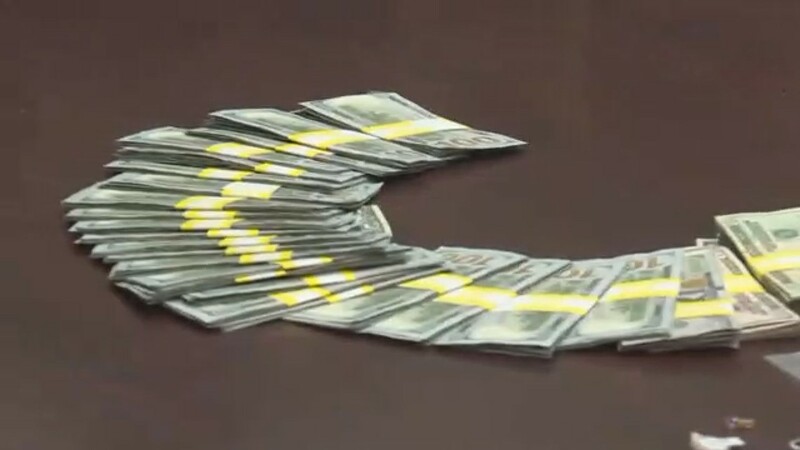 The Atlanta Police Department worked with the Fulton County District Attorney’s Office, the Cobb County Police Department and the Cobb County District Attorney’s Office in this case. She lost her home in the Alabama tornadoes. Her photos showed up all over Georgia.